Bailey is a 4-year-old intact female Yorkshire Terrier who presented to CARE emergency services for unsuccessful labor. 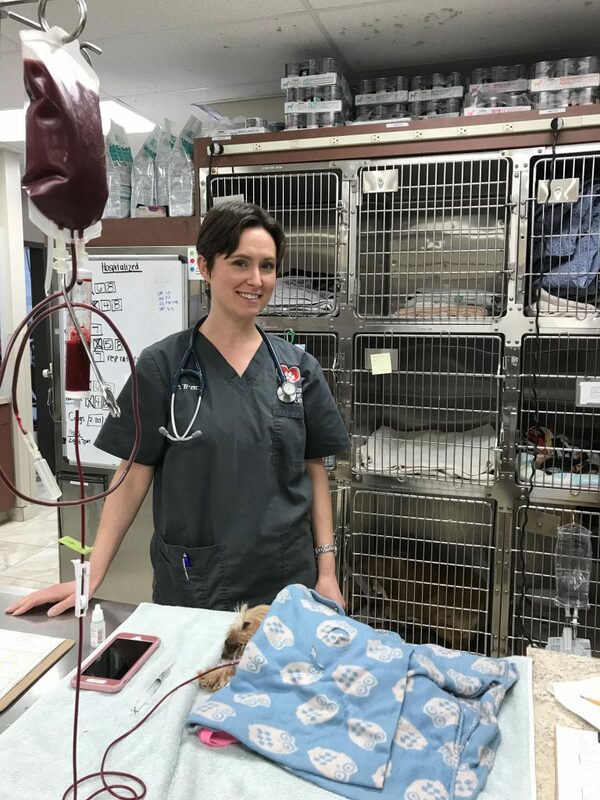 An emergency cesarean section was performed to retrieve the puppies and perform an ovariohysterectomy (also known as a spay). Bailey survived the surgical procedure along with 4 of her 5 puppies. Unfortunately, the ordeal was very taxing on her system, so her body was not able to produce milk. Bailey was very slow to recover from surgery, would not eat or drink the next day, and was becoming more and more weak. Recheck blood work showed that she had become severely anemic with a hematocrit of 15 % (normal range 35% to 55%). She was immediately given a dose of Yunnan Baiyao, a Chinese herb that helps stop bleeding. 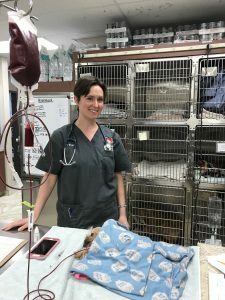 It was determined that we needed to perform a blood transfusion to stabilize Bailey, and then return to surgery to isolate and resolve any areas of internal bleeding. Our volunteer dog Hiccup, a 4-year-old Bernie doodle, was brought in to cross match to see if he qualified to donate. Luckily, they were a match! 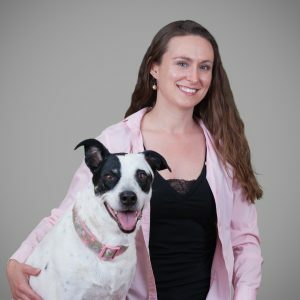 In order to raise Baileys hematocrit to an acceptable level for surgery, she needed only 54 mls of Hiccups blood. In order to fill the donation blood bag to the appropriate level for the amount of anticoagulant, we needed 450 mls of blood from the donor. 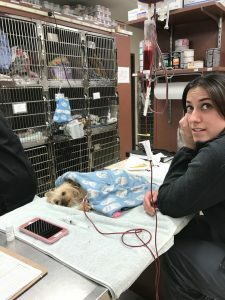 Hiccup the blood donor had a wonderful day full of lots of pets, loves, and treats. During the transfusion, Bailey was given a dose of injectable Benadryl to help decrease the likelihood of an allergic reaction. Her vital signs were monitored closely and recorded every 15 minutes for the 3-hour duration of the transfusion. At the completion, her hematocrit was 38% and she was already more perky. She was taken back to surgery, where a large blood clot was located at her uterine stump. The blood clot was removed and although no further bleeding was noted, the ovarian body was ligated again. Bailey recovered uneventfully from surgery with a stable hematocrit overnight. She was able to go home to her remaining puppies the next day. As her milk never did come in, the owner has been diligently nursing the pups with puppy milk replacer. Bailey was very happy to get home to help snuggle and keep her pups clean.